It’s time for test prep and you are tired of the same boring day-to-day schedule. The kids get burned out and nobody wants to do one more assessment. What is a teacher to do? 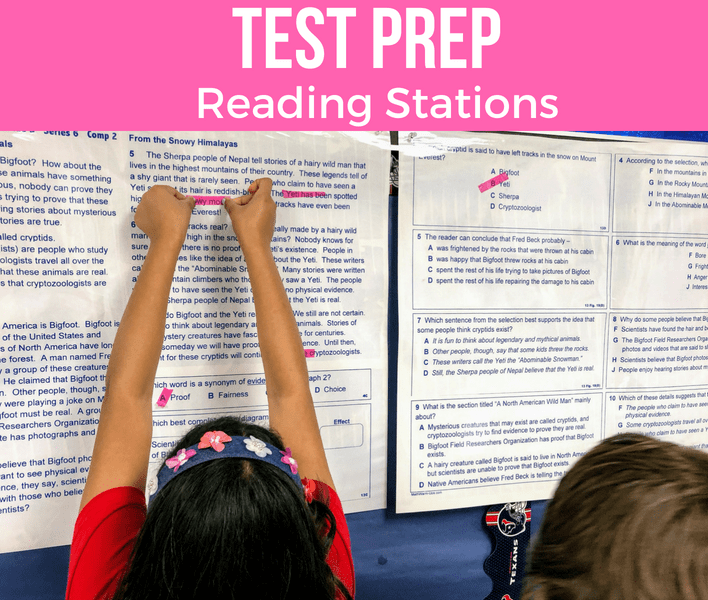 One way to change-up your schedule is to have some test prep reading stations. 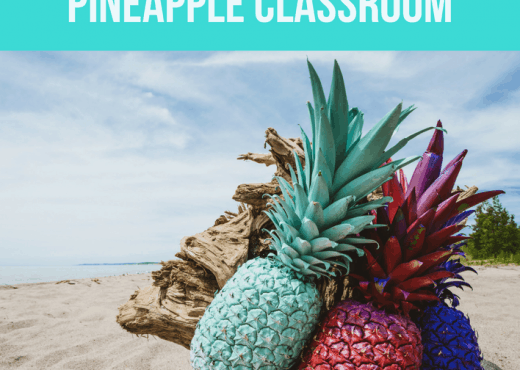 I know this sounds too simple but this has definitely been a huge game changer for my classroom. This year my team also tried it with their kids and they also saw the change. This is not anything I came up with. These ideas were shared to me by my literacy coach. She found these ideas from other great teacher authors. So let me share with you what my classroom looks like. I have my kids go to two stations a day for 20 minutes each. I have two classes I teach, so one class is in red and one class is in blue. For example Sara and Dan are in blue. 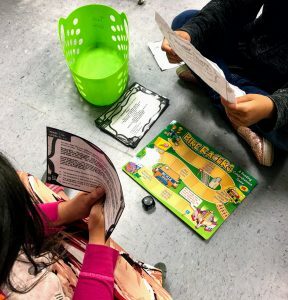 Their first test prep reading station is Buddy Reading. Donnie and Brandon’s first station is Istation. After 20 minutes I tell everyone to clean up. They all go back to their desk and then I announce for them to go to their second station. Now Sara and Dan go to Istation and Donnie and Brandon go to Buddy Reading. So the next day I just move all the stations down one row, and the groups go to those stations. I have been doing this system for at least 6 years and it really works pretty well. During this time I call kids to my table to work on the standards they are still struggling with. I can see 2-3 groups during this 40 minute time block. This idea originally came from Kady from the Teacher Trap blog. 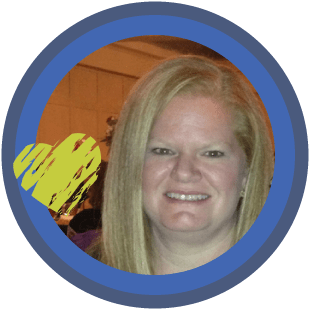 Make sure to go check out her blog post about Test Prep Tips. I have changed it up some to best benefit my 3rd graders. The students are given an enlarged passage with questions already cut out and markers. The kids read the passage and then answer each question. 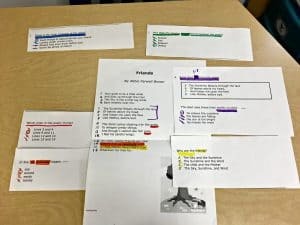 They show their strategies for each question using one color of marker and then go to the passage and underline with the same color where they found that answer in the passage. They then put the question next to where they found the answer in the passage. Even with inferencing questions (which we call brain questions) there is usually somewhere in the text that gave them a clue to that answer. 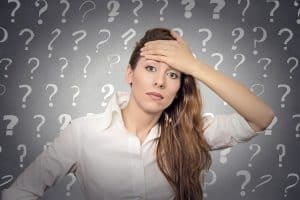 With the questions that they can not go back to the text to find the answer, such as author’s purpose, they put the question above the passage. 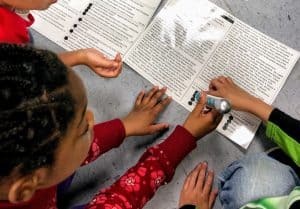 Even though they are still doing a passage, they have fun because they are working with a buddy, they get to use markers, and the paper is huge! I’m not sure where this idea originated from, but when my literacy coach told me about it I couldn’t wait to try it. There is a poster size passage with questions attached to the wall. The students use highlighter tape to answer the question and prove their answers. It seems so simple but the kids really love it. They get to use highlighter tape…. how much better does it get! This is the kids’ favorite test prep reading station. I don’t know how I made it through my teaching career without knowing about these jewels. I just found out about them a couple of months ago and I am totally in love. The kids have a laminated passage with these hot and cold dots over the answer choices. They take this special pen and click on the answer they think is correct. If they get it right is says “great job” and it blinks green. If they get it wrong it says “Try again” and it blinks red. The great thing about this is I can hear when they get it right. I love to hear that sound. Oh where have these Hot Dots been all my teaching life?! If you want to learn more about them you can click on the pictures below. Task cards can sometimes be boring so I have tried to make it more interesting for the kids. 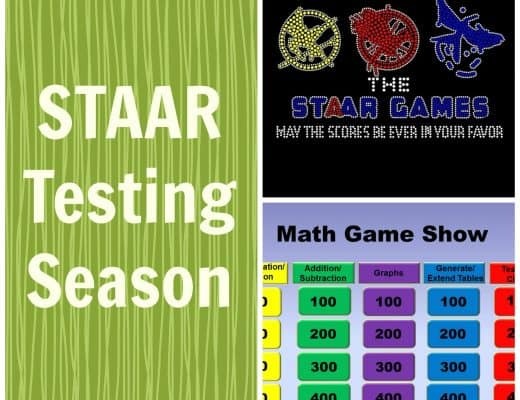 I have a copy of STAAR test prep task cards I purchased from Watson Works. They are perfect because they have a mixture of all the TEKS the kids have learned throughout the year. I have a game board from an old game I don’t use anymore. When the kids answer a task card correctly they get to roll a die and move that many pieces on the game board. The first one to the end wins. Just adding the game board component changes everything for the kids. Another workstation I use is Istation. This is our reading program that is on the computer. I also have a station for the kids to go to the school library and the classroom library. 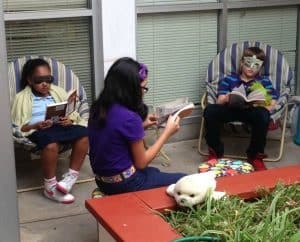 Another station I have is outside reading because I am lucky enough to have an atrium attached to my classroom that has a couch and chairs setup for the kids to read. 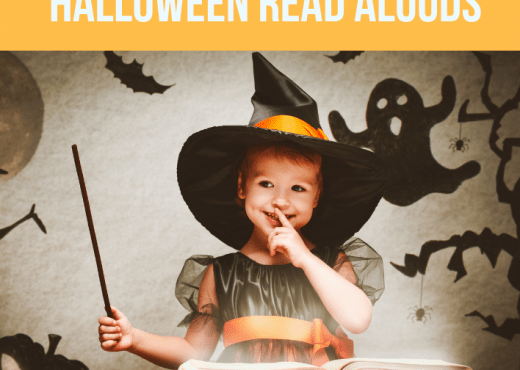 It’s really important to give the kids a chance to relax some and read. They are doing some hard passages in the other test prep stations and I want them to be able to take a small break and enjoy their reading. These stations have worked very well. After five days of rotations, I add different passages to the stations. They are engaged and work well with their partners during the workstations. It works perfectly for me to meet with small groups. 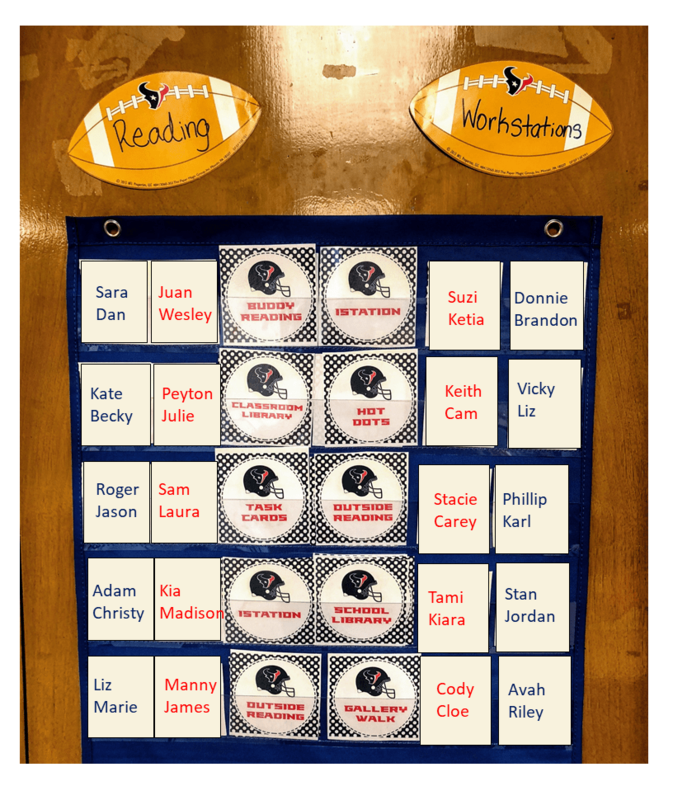 I have made some editable workstation task cards for you if you would like to try some of these test prep reading stations. Just click on the picture below. I hope these are helpful for you! 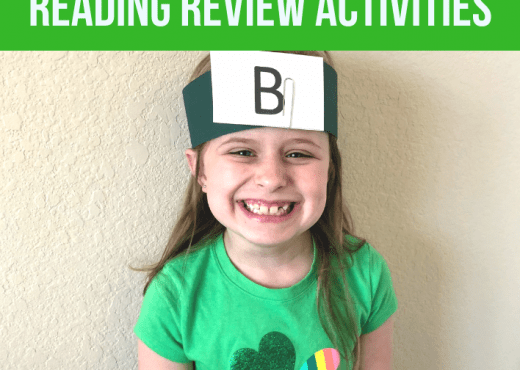 If you are looking for some other fun test prep ideas, check out my other blog post. 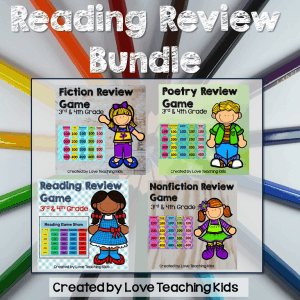 If you are looking for some reading test prep ideas I have these fun Jeopardy style Reading Games. Hi! 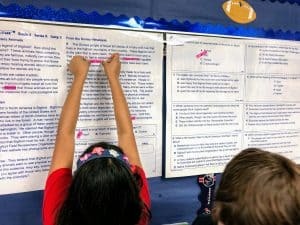 1st year teacher here, just curious of what staar passages you used on the enlarged gallery walk activity. Thanks! Hello! How did you find poster-sized passages?? I would like to use them with my 4th graders.